Sometimes you screw up. If you don’t you’re not trying hard enough. That’s exactly how I came up with this. I was trying to make these amazing sous vide pork carnitas cubes I saw Rick Bayless do. When they hit the frying pan the pork lard melted and they self destructed. Time to make tacos! This recipe uses the slow cooking technique called sous vide. Historically the domain of fancy restaurant kitchens, low cost home systems have become available in the last few years. Mine is an Anova. The concept is simple. You vacuum pack what you are cooking and cook it slowly over long periods of time. In this case it took 48 hours at 155F. Not for everyone, but if you have a home sous vide set up give this a try. It’s a fun meal to serve family style. 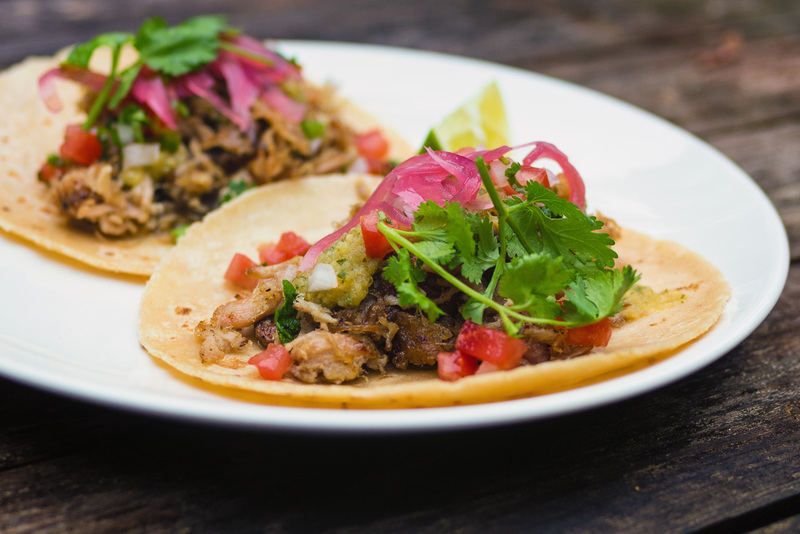 Pork carnitas are good no matter how you make them. Sous-vide lets you take them to almost done at your convenience and then cook them to order. Combine the cumin, granulated garlic and chili powder. Season each piece of pork with one third of the seasoning mix. A little goes a long way when you are cooking sous vide. Vacuum pack the pork individually, adding 2 Tbsp of pork lard to each vac pack. Set your sous vide up to cook at 155F. Cook the vac packed pork for 48 hours. If not using immediately, heath safety suggests cooling it after 48 hours in ice water then into the fridge. In the vac pack, this keep a few days in the fridge. When ready to serve, remove from the vac pack and fry over high heat in a generous amount of pork lard. If you get to the point where you can't see free lard in the pan you don't have enough. You are looking to get some of it crunchy so be bold. Cook one pound at a time in a non-stick frying pan. Don't be tempted to cook it all at once - it won't brown well. Salt it to taste at this point. Repeat three times. Serve the pork carnitas warmed corn tortillas and your assorted garnishes. 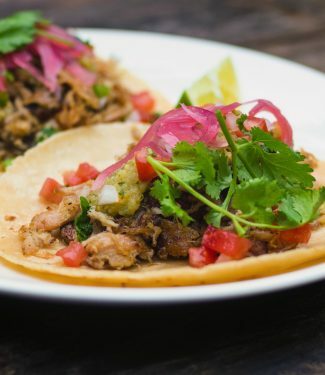 Let people build tacos to their taste.